Everyone wants to be a part of something unique, something to spice up your racing life, and that’s how the idea was born to make the Rotax MAX Challenge International Trophy – the newest addition to the exciting Rotax MAX Challenge racing world with participants from all over the world. 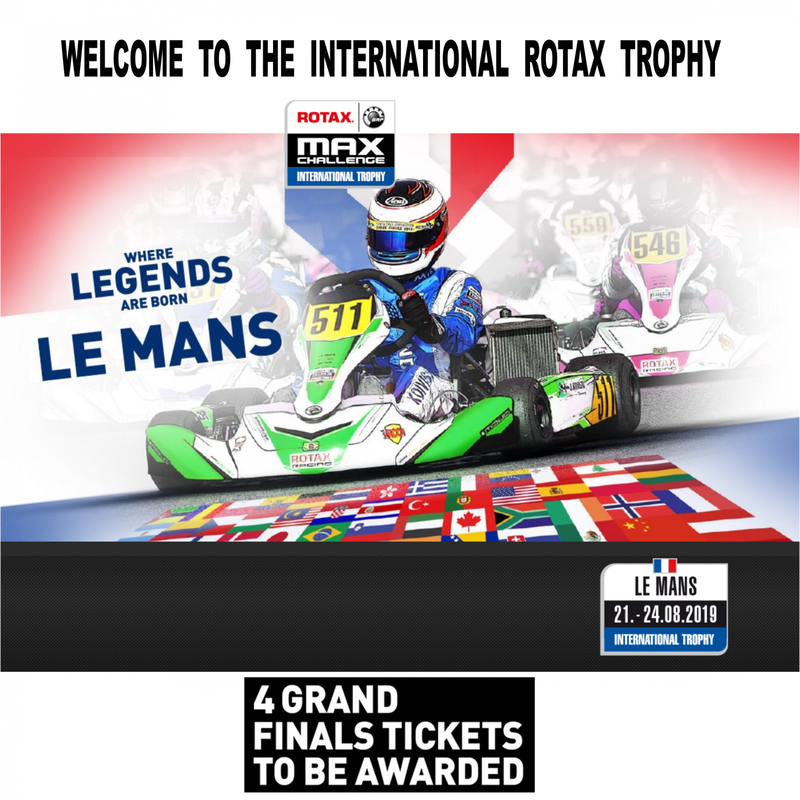 3MK Events in collaboration with BRP-Rotax will organize this special event that is going to be held in the end of August on one of the most well-known kart racetracks in Europe – LE MANS INTERNATIONAL KARTING CIRCUIT. Competitors from all over the world are coming to participate in this exciting race event in which they can win Grand Finals tickets or other tempting awards. We are welcoming all drivers and we are looking forward to spend an amazing race-weekend with you. 2 BRP-Vehicles will be raffled amongst all participating drivers. “To further expand the success of the Rotax MAX Challenge races around the world, it seemed important to us to create an exceptional international ROTAX event in France.